S/Sgt. Eldon L. Boyd, son of Mr. and Mrs. Homer G. Boyd, graduated from Frederick High School, husband of the former Mabel Jeffries. 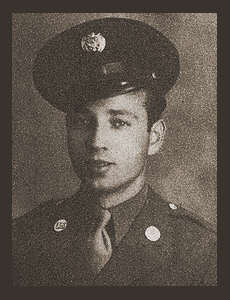 Entered the Army in 1942, trained in Camp Barkeley, Ft. Sam Houston, Texas and Ft. Simmins, Colo. Awarded Good Conduct Medal.